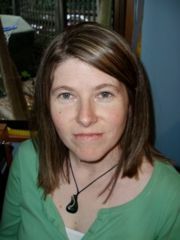 My name is Jacqui Land, I live in Cashmere, Christchurch, New Zealand and work at Papanui High School. At Papanui I am Director of ICT and oversee our LMS and SMS and am in charge of ICT in teaching and learning. I started my teaching career in England (where I was born), and moved to NZ in 2003...and have never looked back!! I have a huge interest in the developments of ICT in teaching and learning and think we live in very exciting times. As well as my roles at Papanui, I am also President of the Canterbury Science Teachers Association (CSTA) where we are trying to set up a collaborative site for members and I am a member of the New Zealand Ministry of Education Moodle Reference Group. Looking at how SMS/LMS/Google/e-portfolio etc can all be used effectively in schools for teaching and learning purposes. This page was last modified on 12 September 2012, at 21:25.